Jr NTR's Jai Lava Kusa is planned for a September 21st release. The 3rd teaser introducing Kusa was unveiled yesterday, and within 24 hours, the video has crossed 3 million YouTube views. The makers are planning to reveal the trailer by tomorrow, 10th of September. The expectations for this action entertainer is on an all-time for a Jr NTR film, and that reflects on the pre-release business deals. Apparently, the film's has made a business of 115 crores which is said to be a non-Baahubali record for a Telugu film. 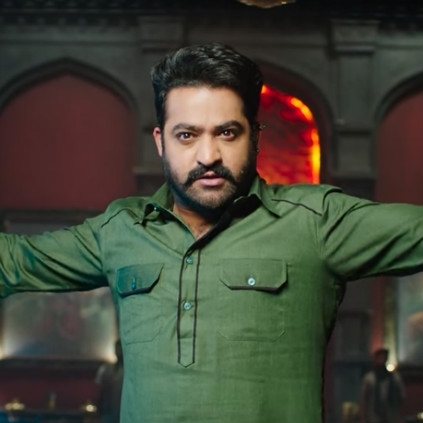 Here is the trailer of Jr.NTR's Jai Lava Kusa, in which he features in three different roles. The film, directed by Bobby, stars Raashi Khanna and Nivetha Thomas as the female leads. People looking for online information on Jai Lava Kusa, Jr ntr will find this news story useful.